Orbo , by PlaSmart is an educational toy, similar to what we used to play with when I was young, the Rubix cube. Oh my what fun we used to have with that! I will admit, I could never beat the thing, but my brother was a whiz at it. The Orbo is a puzzle style game that promotes matching and problem solving skills. You move the balls around inside the colored balls, to match the holes with the same color. The website states that this is appropriate for ages 4 and up. The Orbo is small enough to easily fit into your child’s stocking, so stock up on them! 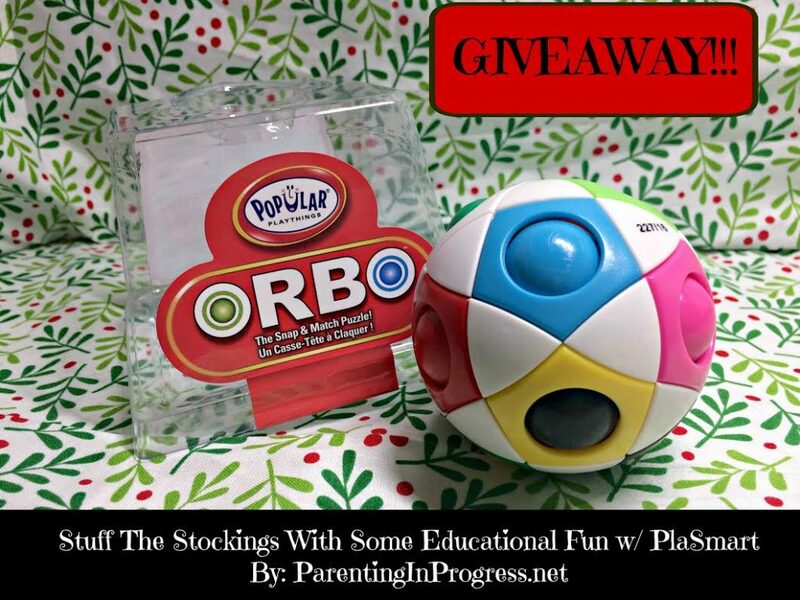 If you don’t want to wait to see if you win, click here to go to the PlaSmart website and check out the Orbo, in addition to the other toys listed on their site! Looks fun! I’d love to win this for my daughter. Fun looking game, this would make a great present. Oh I would love to put in his Christmas stocking! This looks like a great toy! I would love to win it for my niece. Love this! I really like fun yet educational toys. Thanks for hosting a giveaway. Good Luck everyone. The Merry Kid-oliday Giveaway! $244 in Prizes! Designer Diaper Bag & Car Seat Cover Giveaway! !